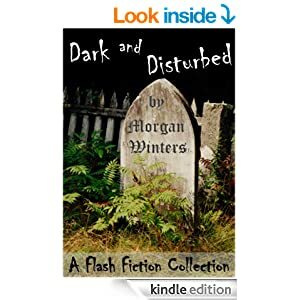 Dark and Disturbed by Morgan Winters is a collection of short stories that combine elements of horror with a very odd sort of sense of humor. Any individual story rarely spans more than 5 pages and have such abrupt, off the wall endings as to leave the reader scratching their heads in puzzlement. I do enjoy the horror genre immensely and usually books of short stories are definitely at the top of my list. However, Winters has such a skewed idea of what is funny that I suspect he may be the only one laughing at the end of each story. Still, at 99 cents to buy or read for free with Kindle Unlimited, I am sure there are dozens of people across the globe that might be able to appreciate this definitely dark and disturbed collection. Thanks! :) I'm not doing as much as usual for this book so going to see if that makes a negative impact on sales. I know it is a very busy day for you. Best of wishes for your book launch! I have to admit, your review has intrigued me!